Welcome home to your cabin in the Smoky Mountains! The “Honey Bear Hideaway” is more than meets the eye. This beautiful Gatlinburg cabin is unique for many different reasons. 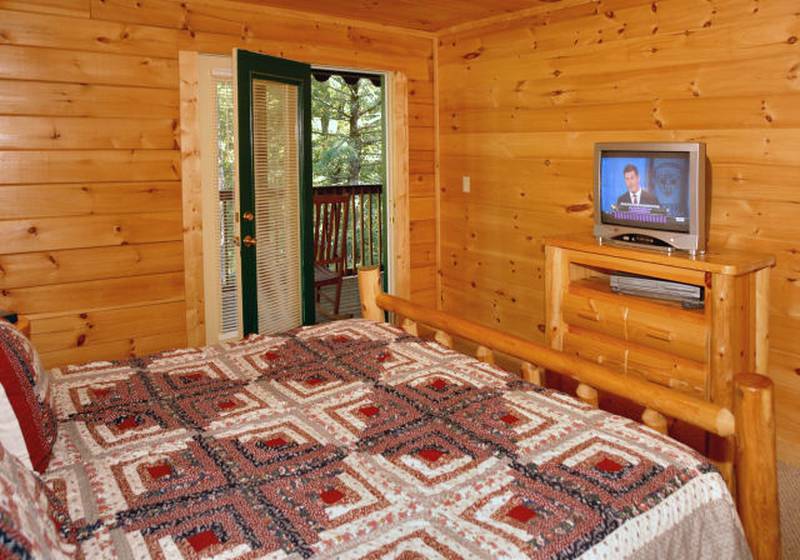 For starters, this Gatlinburg cabin rental has an indoor sauna for your enjoyment. 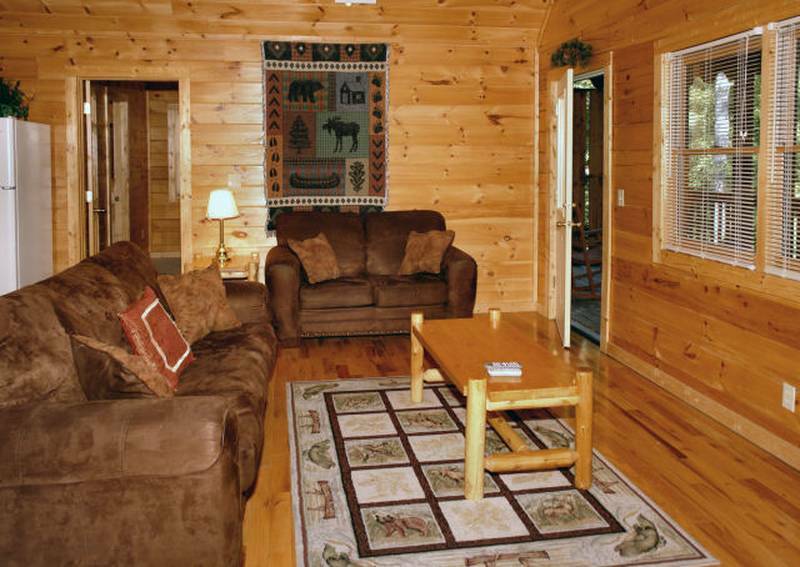 But that is only one of the truly luxurious amenities that this log chalet offers guests. This four bedroom, four bathroom log chalet is big enough for the family at 2,200 square feet. (You can even bring your pets!) Let’s take a look inside! Welcome home to your very own Gatlinburg cabin for the week! Kick your shoes off and stay awhile, won’t you? Could you dream of a cozier living room to watch a movie and make a fire in? Those fall nights can be quite chilly and crisp. Throw a log on the fire and keep your log chalet toasty and comfortable. You will feel so at home in this living room; you’ll never want to leave! What’s a home without a well-equipped kitchen and a farm table to gather around? Make a homemade breakfast for the family and exchange stories! Make scrambled eggs, french toast, biscuits, sausage, the whole deal! You’re on vacation, after all! Don’t forget the coffee! How comfortable do these beds look? Sleep in a little later than usual and crack the door open for some fresh mountain air. This beautiful Gatlinburg cabin comes with a porch right off the master bedroom! Grab the book you’re currently reading, a hot cup of coffee and enjoy the peacefulness. You can’t find peace and quiet like this anywhere else! Now, let’s talk amenities. Not only does this cabin rental have an indoor sauna but four king beds, a luxurious hot tub, two fireplaces, a pool table and internet available for your use. Now that’s a place I want to call home for the week! You will find yourself secluded in the mountains with Gatlinburg only 3.5 miles away! Does the location get any better than that? Book your stay at the Honey Bear Hideaway today! It’s calling your name this fall! 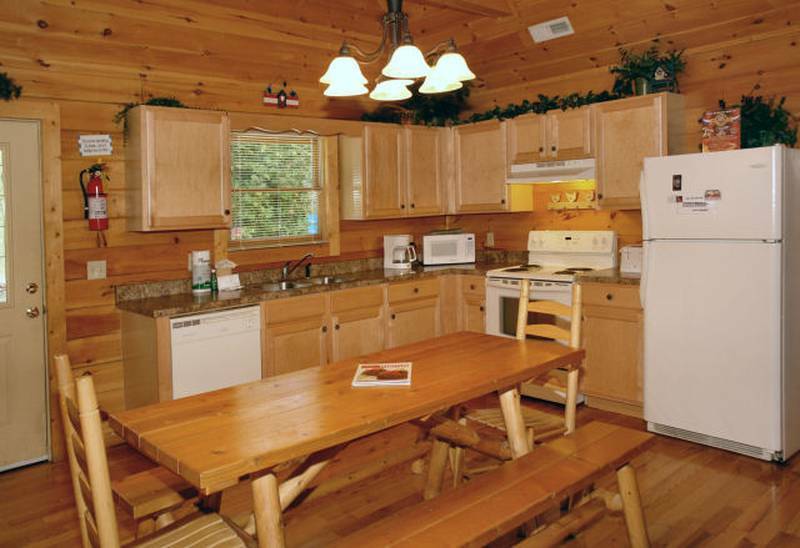 Read more about this rental and our other cabins offered here at Diamond Mountain Rentals!